If you like wearing silk blend mock neck sweaters, that means you like the good stuff. Tulliano is the brand that specializes in the good stuff because they only make fine silk knitwear for men who know what fine knitwear is. 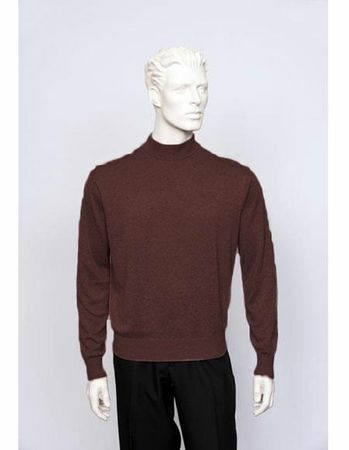 This plum color mockneck sweater has the classic Italian design that you want to be seen sporting. Made of fine gauge silk with cotton knit, you'll want to have them in all the colors.